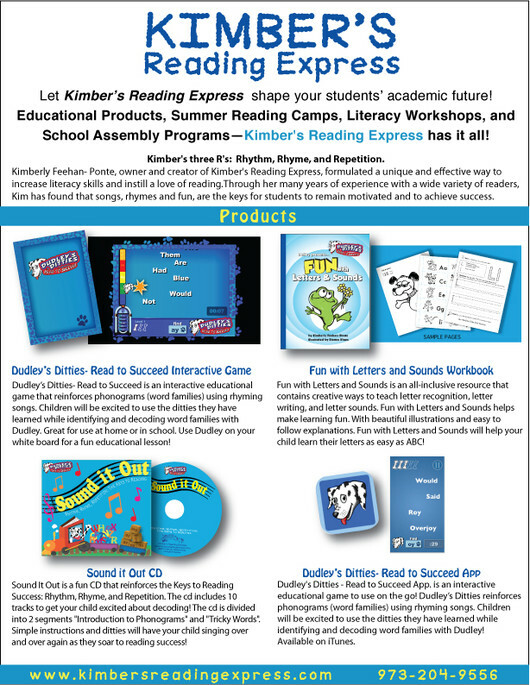 All of Kimber's products help make learning fun! Dudley's Ditties - Read to Succeed App. is an interactive educational game that reinforces phonograms (word families) using rhyming songs. Children will be excited to use the ditties they have learned while identifying and decoding word families with Dudley! Click to download at iTunes. Sound It Out is a fun CD that reinforces the Keys to Reading Success: Rhythm, Rhyme, and Repetition. The cd includes 10 tracks to get your child excited about decoding! The cd is divided into 2 segments "Introduction to Phonograms" and "Tricky Words". Simple instructions and ditties will have your child singing over and over again as they soar to reading success! 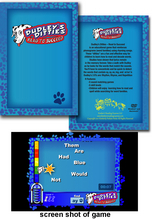 Dudley's Ditties-Read to Succeed is an interactive educational game that reinforces phonograms (word families) using rhyming songs. Children will be excited to use the ditties they have learned while identifying and decoding word families with Dudley. Great for use at home or in school. Teachers, use Dudley on your white board for a fun educational lesson!